Awards will be given for the top 5 places in the Open Division (Training through Grand Prix), Vintage Cup (50 and over), Adult Amateur, Musical Freestyle, Sporthorse Breeding and Junior/Young Rider.This award requires a DCBOA Nomination Form to be submitted by August 1st of the award year. The USDF has additional requirements, including membership, forms and fees that must be submitted. Please visit their site for compete instructions. If the DCBOA All Breeds Nomination for is received after August 1, a $50 late entry fee will apply. 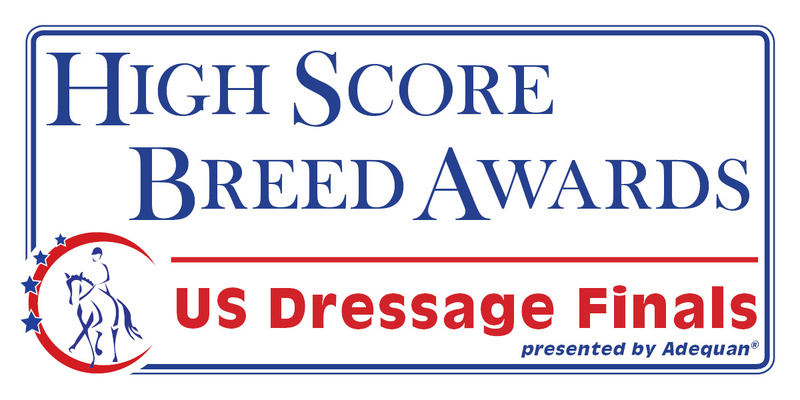 Draft Cross Breeders & Owners Association is proud to participate in the US Dressage Finals High Score Breed Awards. 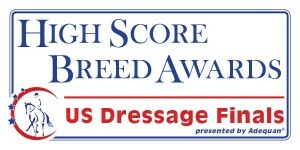 The high score breed awards are a valuable opportunity for additional recognition available at the US Dressage Finals. There are four awards offered, two high-score awards for adult amateur riders, one for the national levels (Training through Fourth Levels combined) and one for the FEI Levels (Prix St. Georges through Grand Prix combined). There will also be two high-score awards for open riders, one for the national levels and one for the FEI Levels, as described above. The Draft Cross Breeders & Owners Association is happy to announce that, in cooperation with United States Eventing Association, Inc. (USEA), we will be offering Annual High Point Awards in each of the following levels: Advanced, Intermediate, Preliminary, Training, Novice and Beginner Novice. In cooperation with the United States Pony Club, the DCBOA is proud to offer its Rising Star Award to the top scoring DCBOA rider (riding a DCBOA registered horse) in Dressage, Eventing, Show Jumping, Polocrosse or Tetrathlon at each of the 2016 Championships. Riders must be 2016 members of the DCBOA.Membership application and horse registration must be received by July 1. Deadline for Rising Star Application: July 1. For information on becoming a member of the United States Pony Club, please visit their site. If the DCBOA Rising Star Award Application is received after July 1, a $50 late entry fee will apply. In cooperation with the American Driving Society, we will be offering an award in each of the 3 styles of competitive driving: Combined Driving, Pleasure, and Dressage. To be eligible, applicants must be current members of the DCBOA and The American Driving Society.